Private Amalfi Coast and Pompeii for kids tour for groups up to 8 travelers. Private Amalfi Coast and Pompeii for kids tour for groups up to 3 travelers. Let your driver handle everything as you head out to explore Pompeii and the Amalfi Coast on a private tour exclusively for your family. 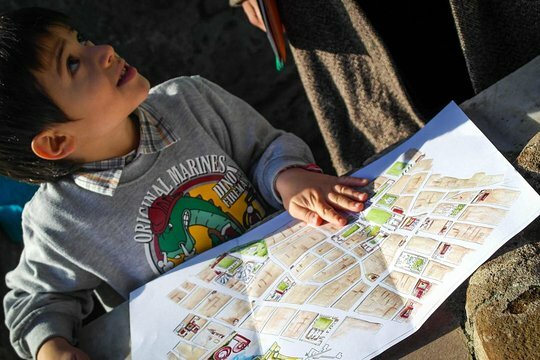 At Pompeii, the kids receive a special map and a kit to continue learning about the city on their own. Then it’s time to explore the scenic Amalfi Coast with its dramatic cliffs, blue seas, and colorful villas dotting the hillsides. The tour can be completely customized; let your guide know if you have specific things you want to see or do. Your private guide will show you the wonders of this perfectly preserved Roman Town which is Pompeii. The walking your will select the highlights of the Archaeological Park. Our Pompeii for kids activities will make it both and entertaining and learning experience for all the family. 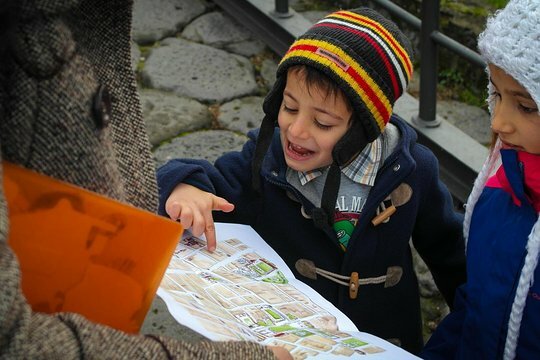 The unique Pompeii for Kids is a special visit of the ancient roman town with many activities and games for your children. It is especially recommended for kids from 6 to 11 yrs. 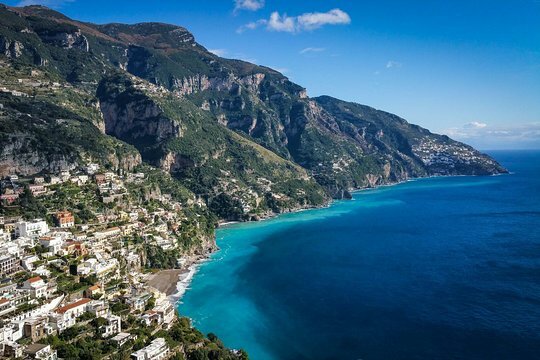 If selected on tour, it makes a good pair with Amalfi in terms of distance and traveling time - Ravello is a lovely resort town with some stunning views. If you wish you can decide to visit on own its wonderful Duomo or the beautiful Villa Cimbrone and Villa Rufolo with their spectacular gardens. Or simply sit down at one of the lovely cafés in the Town square and watch the world go by. Great opportunities for local ceramic shopping if you wish. If selected on tour - it makes a good pair with Ravello in terms of distance and traveling time. Amalfi was once the glorious capital of the Amalfi Coast. Today it is a vibrant town where you can enjoy some free time for visiting and/or shopping and/or checking the beach out. If selected on tour - it makes a good pair with Sorrento in terms of distance and traveling time. Positano is the best known resort town of the Amalfi Coast. The views from the Amalfi Drive down to Positano are just unforgettable. You can stop there and enjoy on own the pedestrian area full of lovely shops: art galleries, ceramic and sandal workshop, Positano-style linen fashion. Or also you can decide to walk down to the beach to check the Mediterranean Sea! If selected on tour - Sorrento would be our recommendation when visiting Positano, in terms of distance and traveling time. Sorrento is an ancient town located on a stunning cliff. In the Old Sorrento there is a great outdoor pedestrain market area where you will find the best opportunities on the coast for eating and shopping. If selected on tour with your driver - Cetara makes a good pair with Amalfi or Ravello. Cetara is on a a few places off-the-beaten track on the Amalfi Coast. You can take some time on own to explore the village, check the little beach and browse the shops. There are nice little restaurants as well. If you would be interested you can also ask your driver to stop by one the traditional workshop that produce the famous fish sauce called "colatura di alici. If you wish to visit to Old Tower let us know so we can reserve double check the availibility. Private tour with Fabrizio is the way to go! Get quick answers from Amalfi Coast and Pompeii for Families Private Tour from Naples staff and past visitors.